I have a friend who longs for some serendipity in her life. But some of us seem to encounter kismet on a regular basis, while others lead more mundane existences, bemoaning the endless rounds of laundry, dirty dishes, work. Which leads me, on a lazy Sunday morning, to ponder. And you know what happens when I ponder. You get to listen (No—I said GET to listen, as in privilege, not HAVE to listen. Oh, never mind.). I am a firm believer that God, the Universe, Azna—whatever you call the higher power at work—provides us with on-ramps to joy and our higher destiny. Regularly. Well, in universal time, regularly. In earth time, they may be spaced years apart. Which is why when they come, you want to pay attention. Miss one and it could be another decade before you’re offered the same opportunity. The Rolling Stones did. Or they might never have been the Rolling Stones. Keith Richards and Mick Jagger went to the same school as children. They vaguely knew of each other but Keith thought of Mick as a rich kid, and of himself as the kid from the wrong side of town. They coexisted on parallel tracks, but didn’t really cross paths. A few years later, Keith bought ice cream from Mick, who worked in a sweets shop for summer employment. They chatted briefly but again, no connection. It wasn’t until years later, on a train platform, that Chuck Berry introduced them. Not physically, mind you. Keith was holding a Chuck Berry album under his arm while waiting for his train. Mick recognized him and approached, because he too loved Chuck Berry’s music. 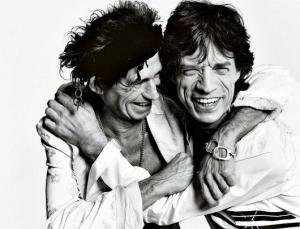 They chatted, Mick invited Keith to a get-together—and the rest is history. Tell me our universe doesn’t have a sense of humor. Two of the most successful rock legends of all times began by sharing a rather mundane schoolyard. And then ice cream. Before Chuck Berry brought them together without even being physically present. They could have connected as young children, on more than one occasion. But neither took the universe up on its offer. Higher powers are nothing if not persistent. Third time was the charm. Because something drove Mick to strike up a conversation. What is that something? What makes a man walk up to another on a train platform because of a record album? I don’t pretend to know—but that, ladies and gentlemen, is kismet. Serendipity. Providence. If kismet can birth the Rolling Stones, imagine what it might have in store for you. Back to my longing friend. She works incredibly long hours. She has all sorts of “rules” for herself about appropriate behavior. She does not really interact well with waiters, fellow pedestrians or people on train platforms. Heart of gold, but a little closed off. And yet, she wonders why her life lacks the element of connection, of delightful surprise, that many of us have. I am sure her life has provided her with multiple opportunities for delight. She just keeps missing the on-ramps. People who live by strict rules of conduct tend to. People who judge others by their social status also tend to whiz by those on-ramps. You can’t bemoan your current state of affairs if you don’t lift your head up from the grindstone, the box you’ve created, and move outside of your comfort zone. That’s the price life extracts. There’s a toll at these on-ramps—and it’s you, taking a chance to grow. 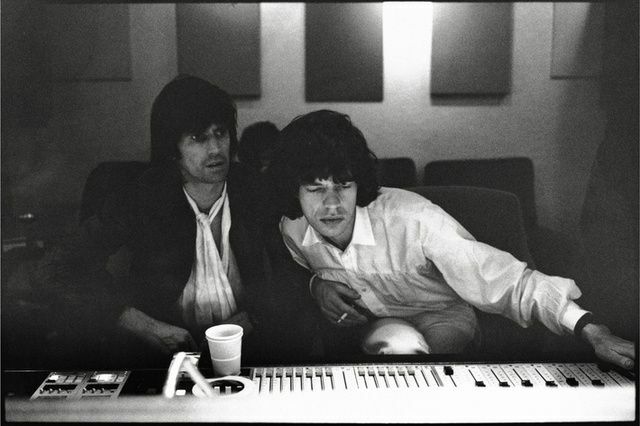 It took Keith and Mick three encounters. Would life have offered them more? Who knows? But can you imagine life without the Rolling Stones? We would have no Satisfaction. And that would be a crying shame. Stop jonesin’. You know your friend who just always happens to “luck” into a phenom party invitation, a delightful vacation adventure, chance meetings with the most interesting people? Odds are, she heeds on-ramps when they first appear, needing no nudge from the cosmos. So heads up. There is likely an on-ramp in your not so distant future. My recommendation? Burn rubber. After all, a Rolling Stone gathers no moss. Oh I learn something every day. Kismet – destiny, fate. Now I know. Love it. Thank you. Here’s to your own version of the Rolling Stones–in whatever form it comes:). Great reminder to wake up + see the on-ramps! I hope you have a lot coming your way:).